IT was slim pickings in the Federal Budget for Sunshine Coast residents on Tuesday. The region’s big spending commitments – $390 million for the region’s rail duplication between Beerburrum and Nambour and the $3.3 billion for key Bruce Highway upgrades were announced in the weeks leading up to the budget. 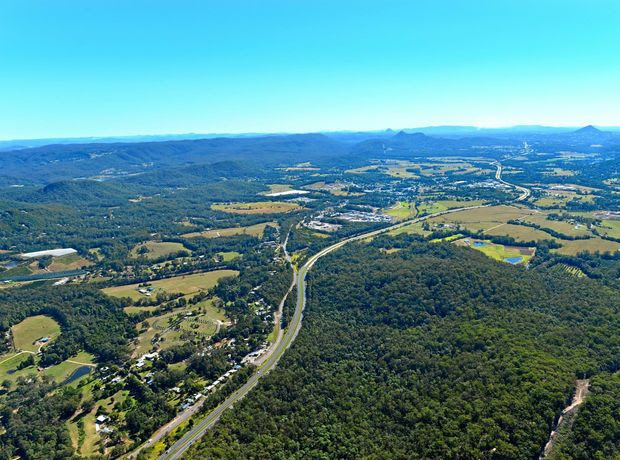 The Federal Government is continuing to fund the $800 million Cooroy to Curra Section D Bruce Highway works and the $880 million Pine River to Caloundra road upgrades. The University of the Sunshine Coast scored a share of $123.5 million to for additional student places, but the devil is in the detail with a treasury spokesperson revealing none of the money will benefit the USC’s Coast campus. Instead the university’s $15 million allocation will pay for 1200 medical spots at its Moreton Bay Campus. The rest of the money will go to the University of Tasmania and Southern Cross University. Meanwhile, schools, councils, industry bodies and other organisations in the region can apply for a share of $14 million to set up regional study hubs by 2022. It was also announced on Tuesday that body scanners and advanced x-ray equipment will be installed at 64 airports across Australia to increase traveller security. The Federal Government will spend $50.1 million installing screening facilities at 13 airports without existing infrastructure and upgrade facilities at larger existing airports like Rockhampton, Townsville and Sunshine Coast.